English Touring Theatre presents the Royal Shakespeare Company production at Darlington Civic Theatre, Tuesday 14 to Saturday 18 April. The cast of A Mad World My Masters. Thomas Middleton, one of Shakespeare's greatest playwriting contemporaries and close collaborator on several plays, is most famous for writing two of the finest seventeenth-century tragedies, The Changeling and Women Beware Women. But he also created a brilliant array of witty and entertaining comedies set in early Jacobean London, which explore with relish a cutthroat urban world, where the "best art" of the inhabitants is "to dissemble well". A Mad World, My Masters is one of the most inventive of these London comedies. The play takes its audience on an exhilarating ride through a series of plots and counterplots, with surprises around every corner and some clever comic plotting and dialogue. The action weaves together two contrasted stories of trickery and deceit (one involving money, the other adultery), in which those who think themselves most cunning - and who may indeed seem to be so - do not always win the race. Director Sean Foley has skilfully updated the action to take place in London, Soho... 1956. Glamour rubs up against filth, and likes it. The posh mix with musicians and racketeers and a dashingly penniless bachelor, in need of quick cash and a good time, finds he has to live on his wits. Becoming a con-man to fool his rich uncle, he variously becomes a lord, a high class call girl, and – God forbid – a poor actor. But a beautiful Soho tart is also on the scam: a whore to some, a religious instructor to others, and a debutante in need of an eligible bachelor to yet more. A fabulous cast has been assembled including Joe Bannister, Ellie Beavan, Ben Deery, Dennis Herdman, Ian Redford and Sarah Ridgeway. 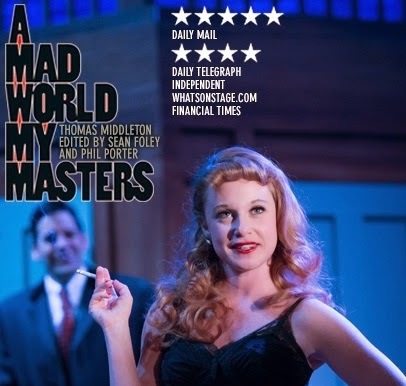 A Mad World My Masters is disgracefully entertaining and fun with a capital F.
Free pre show talk Tuesday 5.45pm, limited availability, advance booking required. Free post show talk Wednesday - Stay behind after the show to take part in a Q&A with some of the cast. Booking not necessary. 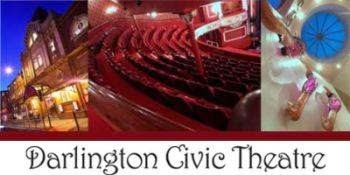 A Mad World My Masters is at Darlington Civic Theatre from Tuesday 14 to Saturday 18 April. Tickets* are priced from £17.40. Recommended age 12+.